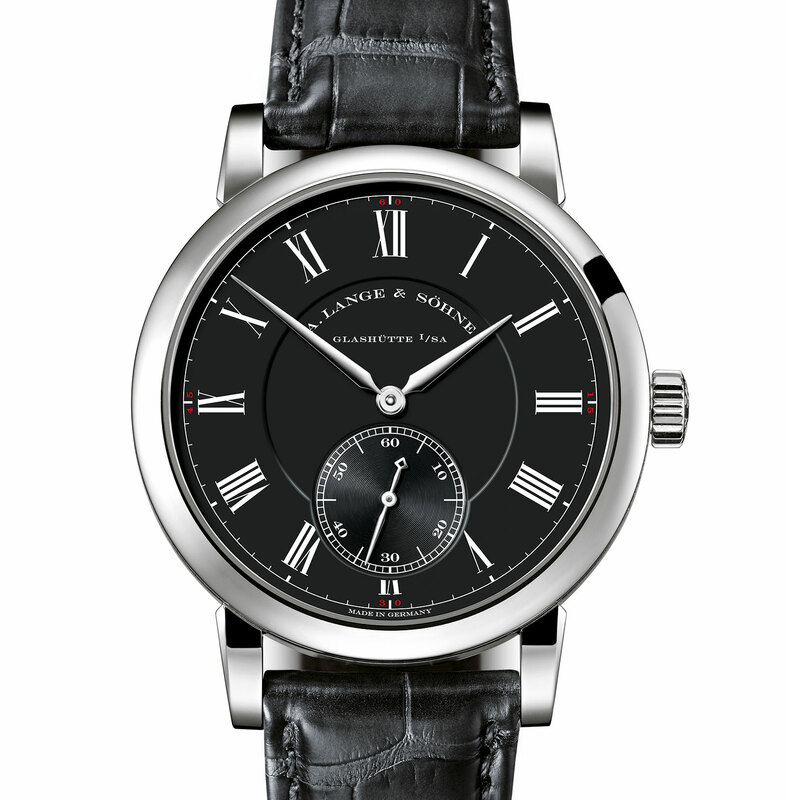 The Richard Lange "Pour le Mérite" makes a comeback, in a white gold and black dial guise, priced at a third less than before. Originally introduced as a 250-piece limited edition (50 in platinum and 200 in rose gold) with a fired, white enamel dial, the Richard Lange Pour le Mérite is now available once again. The latest iteration of the Richard Lange Pour le Mérite is dressed differently and priced lower, but otherwise identical to its predecessors. Welcome news for those who are on the hunt for one, but existing owners of the watch might be sceptical. 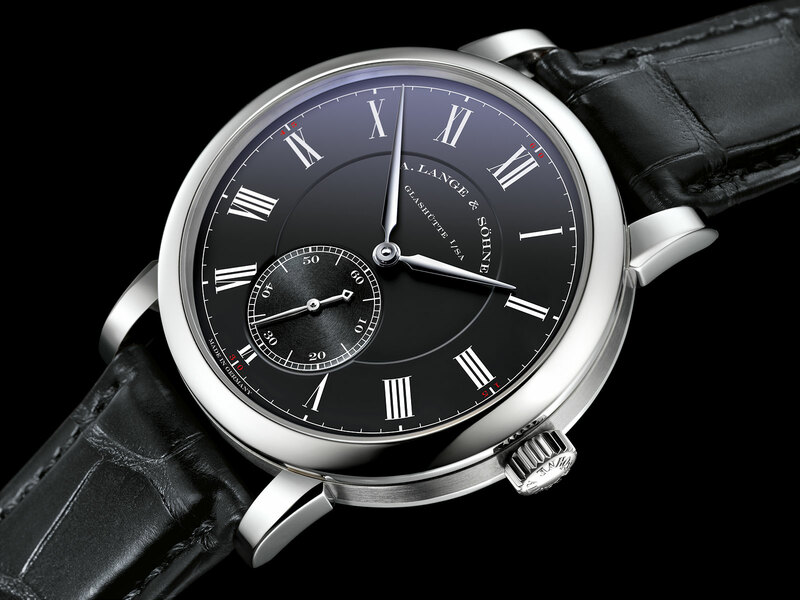 The first Richard Lange Pour le Mérite came to market at an opportune time, unveiled in early 2009 just as the financial crisis was starting to bite. That meant it took a while to sell out, in fact the pink gold version was still available at authorised retailers in 2015, but the Richard Lange Pour le Mérite has since emerged as a crowd favourite of sorts amongst Lange collectors. Though functionally simple as a time-only wristwatch, the Richard Lange Pour le Mérite is equipped with an elaborately constructed movement featuring a chain and fusee constant force mechanism, the sort of thing a technically minded Lange enthusiast would appreciate. The new Richard Lange Pour le Mérite has a white gold case that’s 40.5mm in diameter, the same size as before, while the dial is solid silver finished in a slightly glossy black. The numerals are printed in white, with red accents at each quarter for the minutes. 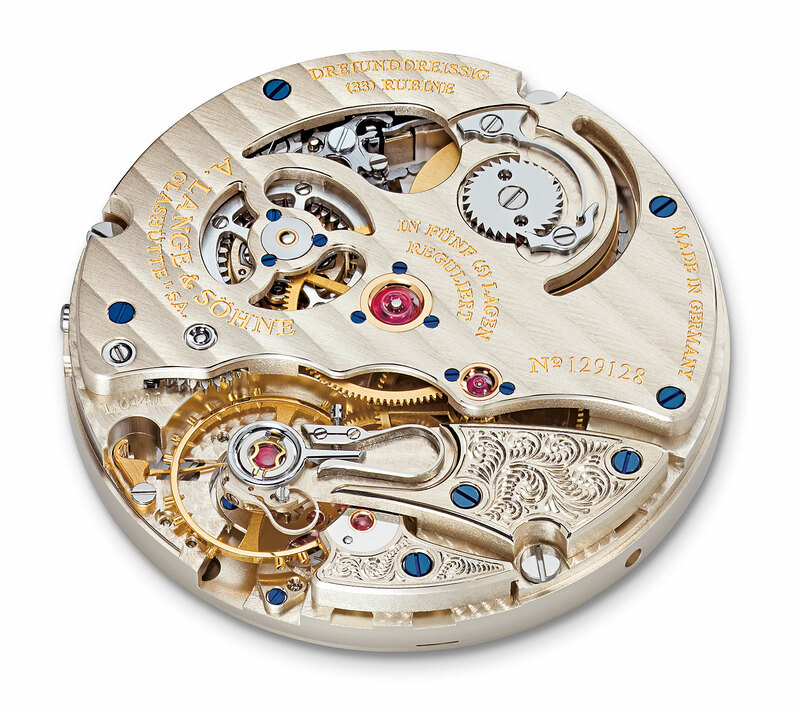 The movement inside is the L044.1, a hand-wound calibre with a chain and fusee. This mechanism comprises a cone linked to the barrel via a chain, relying on the principle of leverage to ensure a constant flow of power to the escapement even when the barrel winds down. An anachronistic device historically found in marine chronometers, the chain and fusee is an impressive feat of miniaturisation, with the chain made up of 636 parts and just 0.25mm high. A good deal of space inside the movement is occupied by the chain and fusee, explaining the relatively short power reserve of 36 hours. 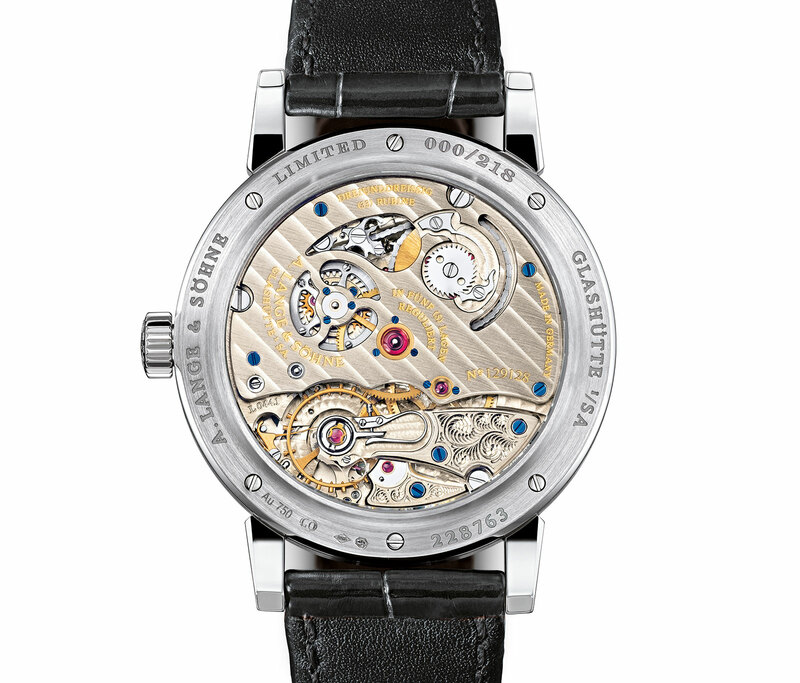 Limited to 218 watches – the number of points of sale for A. Lange & Söhne – the Richard Lange Pour le Mérite (ref. 260.028) in white gold will be available at end 2016, priced at US$82,500, or €81,300 (inclusive of 19% German value-added tax). The white gold Richard Lange Pour le Mérite is almost a third less expensive than the earlier pink gold version with an enamel dial (which retailed for US$113,500). This makes it a good buy in comparison, though owners of the earlier models might not be too pleased, especially when combined with the fact that the size of the limited edition has since doubled. For the first time Lange has made the Richard Lange Tourbillon Pour le Mérite with chain and fusée available in white gold, combined with blued steel hands, as a boutique-only edition.